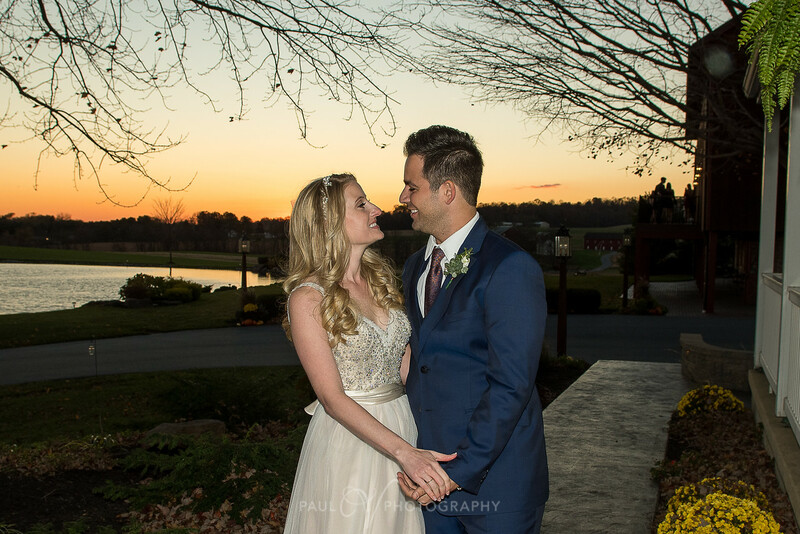 What an incredible couple! 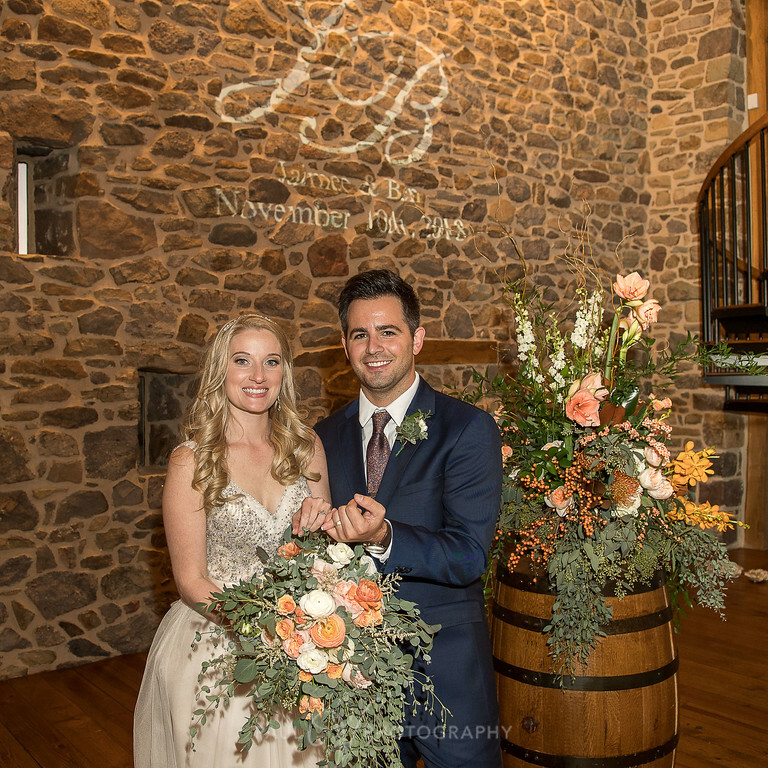 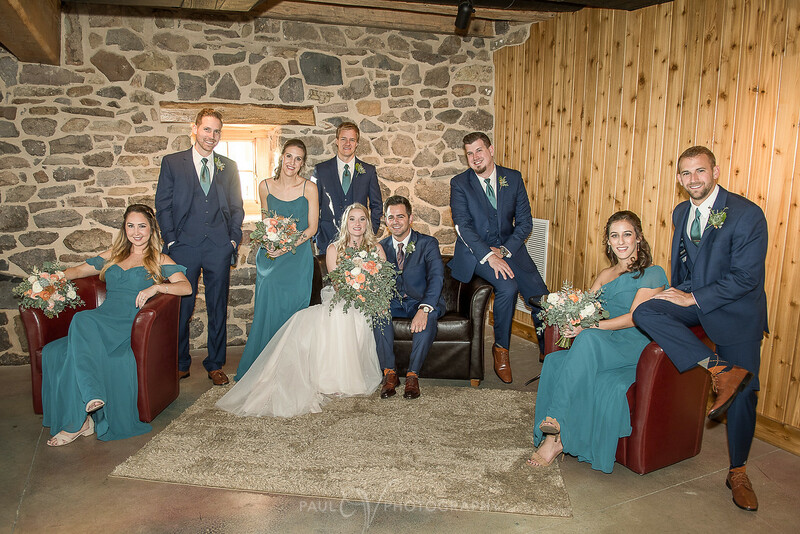 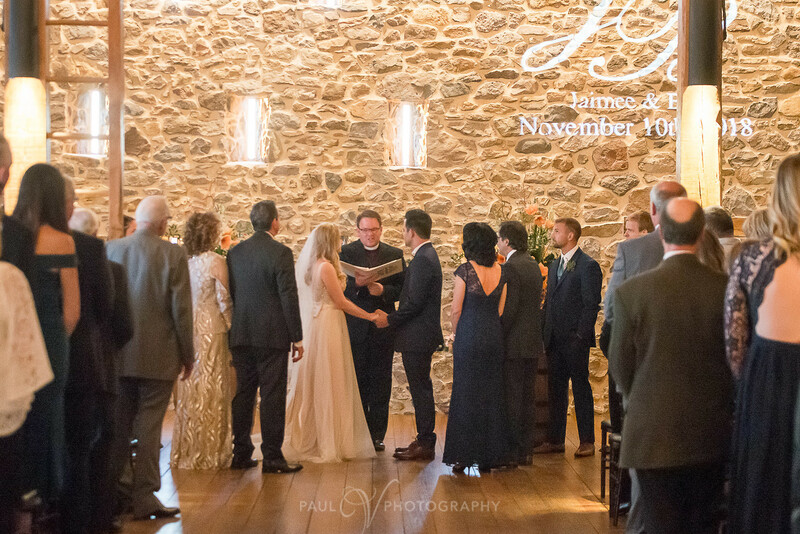 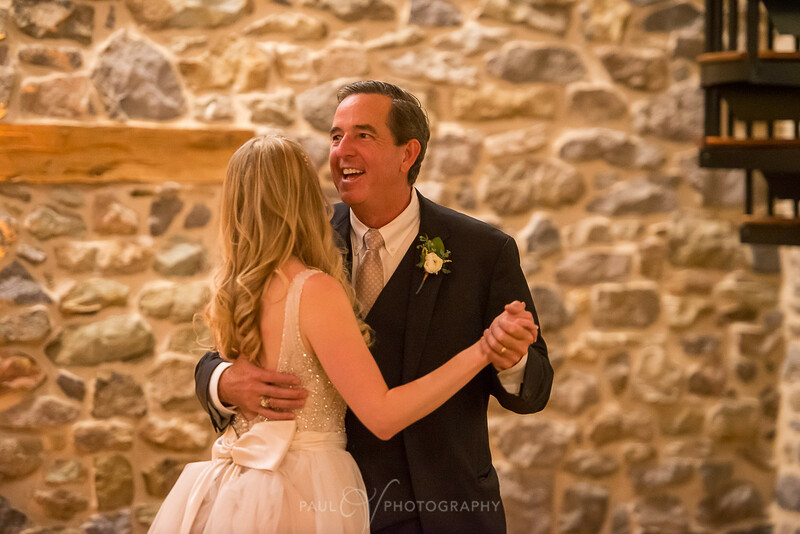 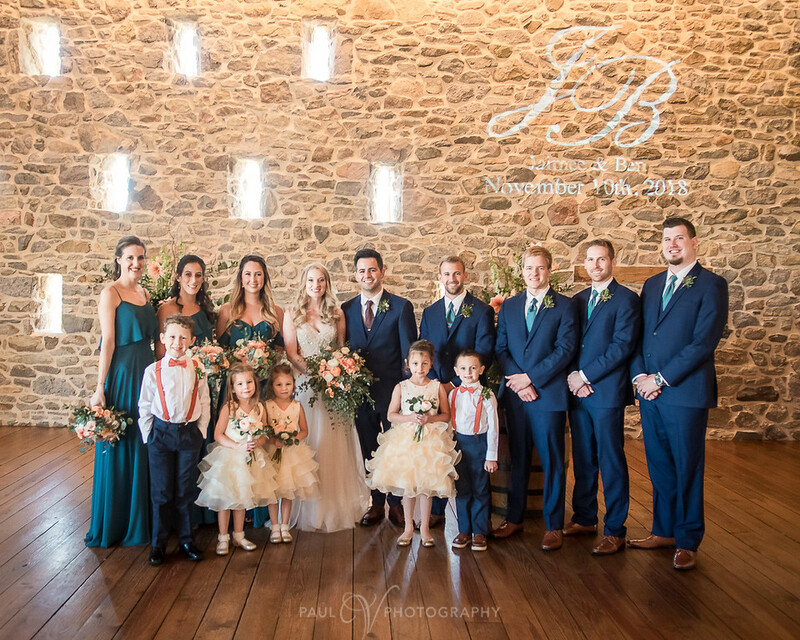 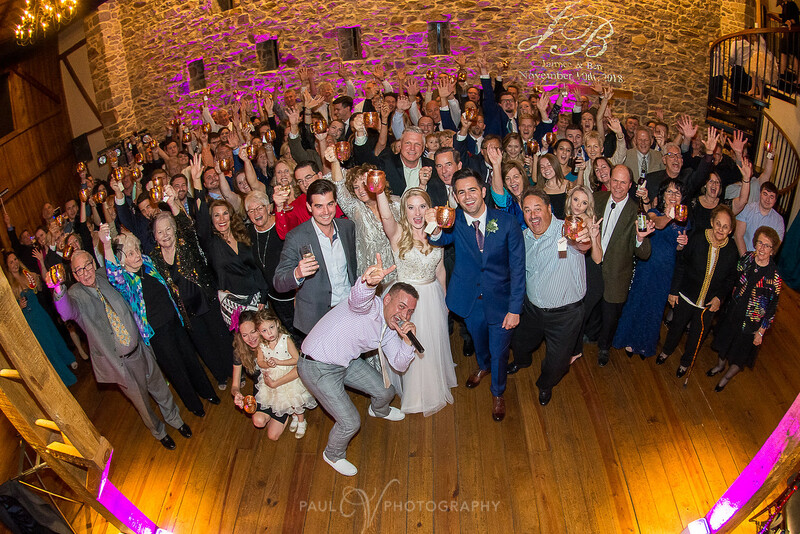 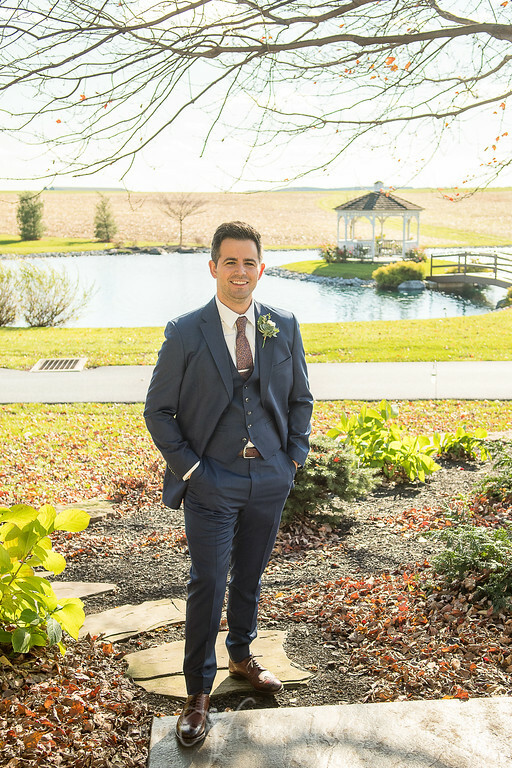 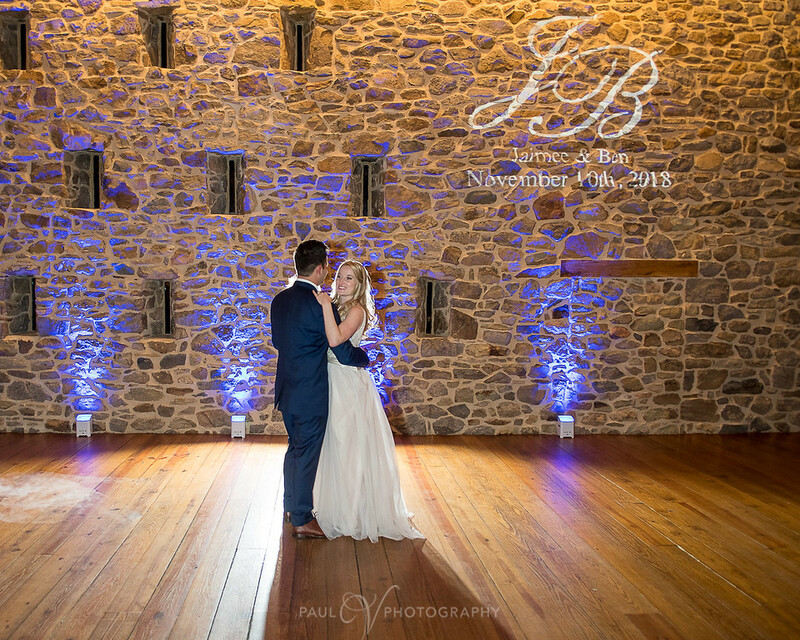 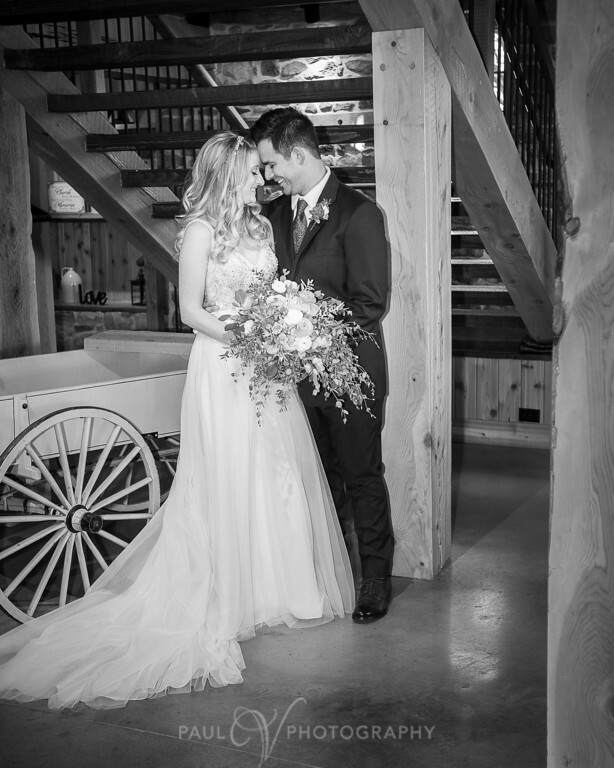 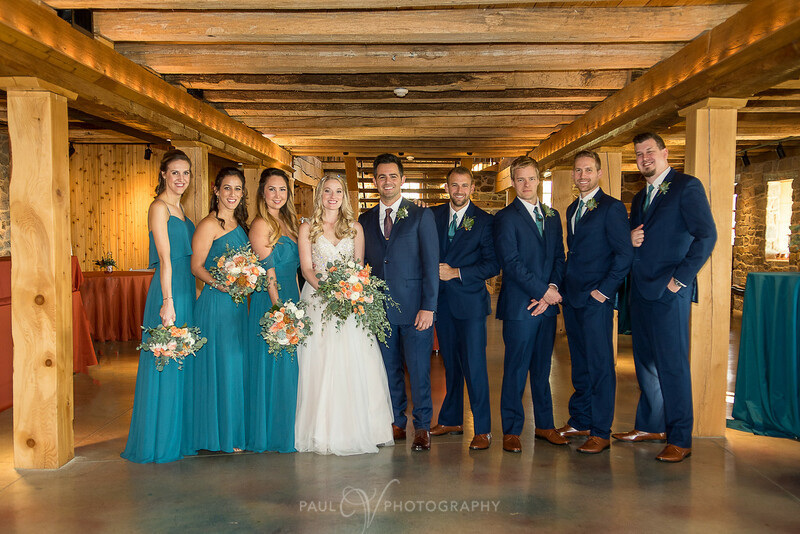 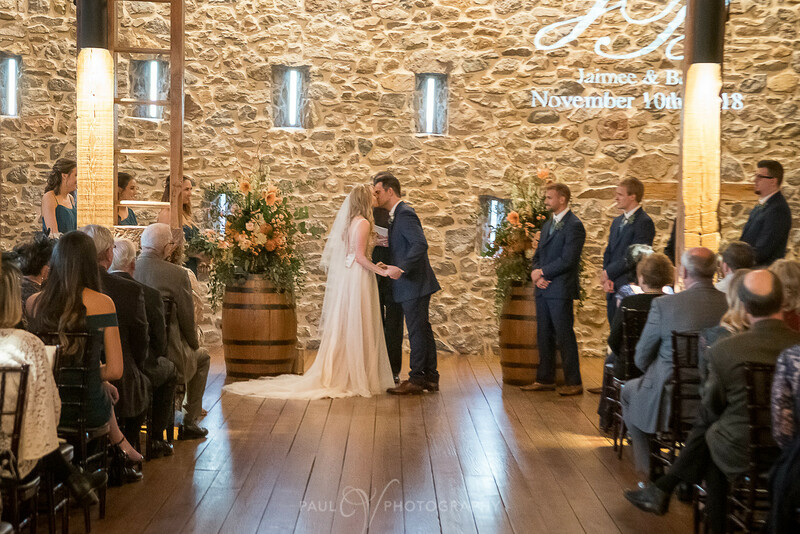 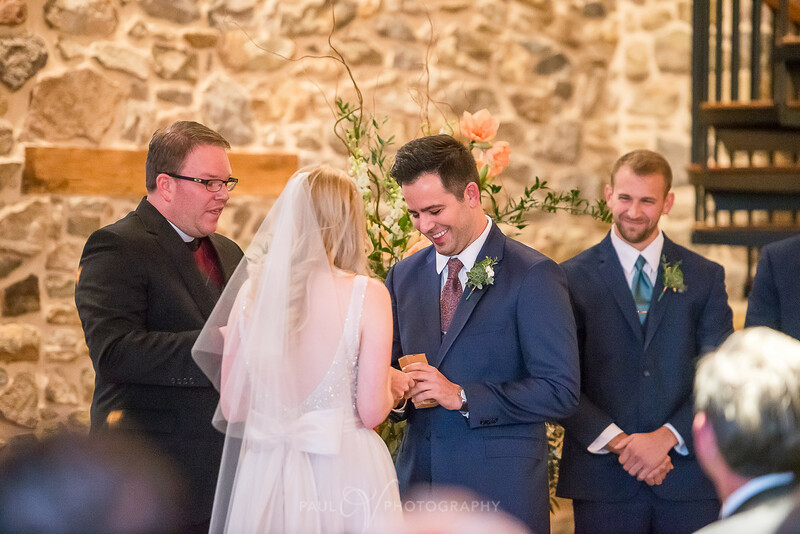 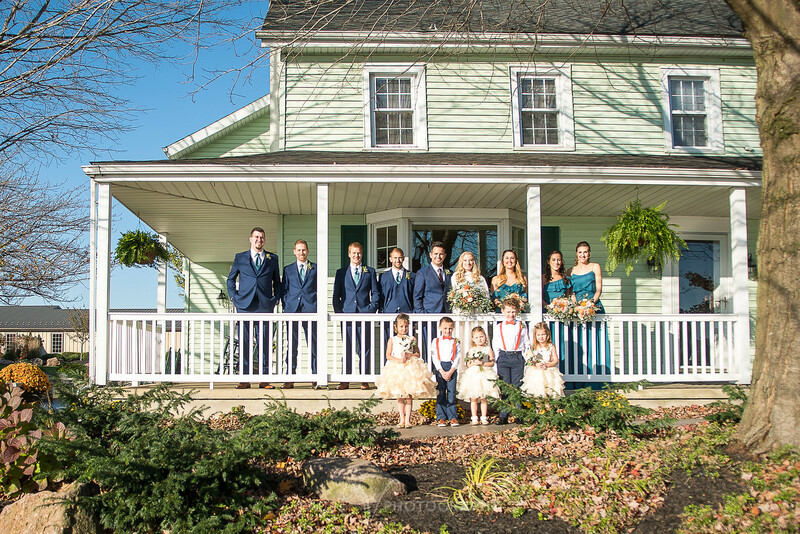 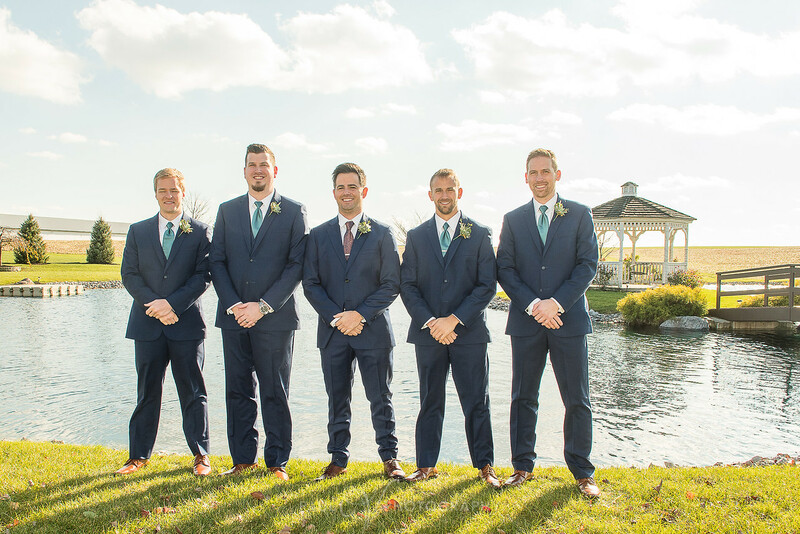 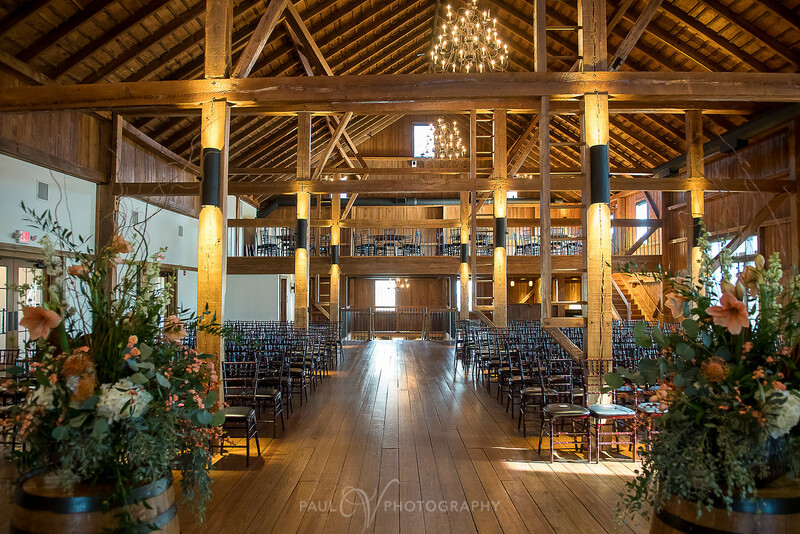 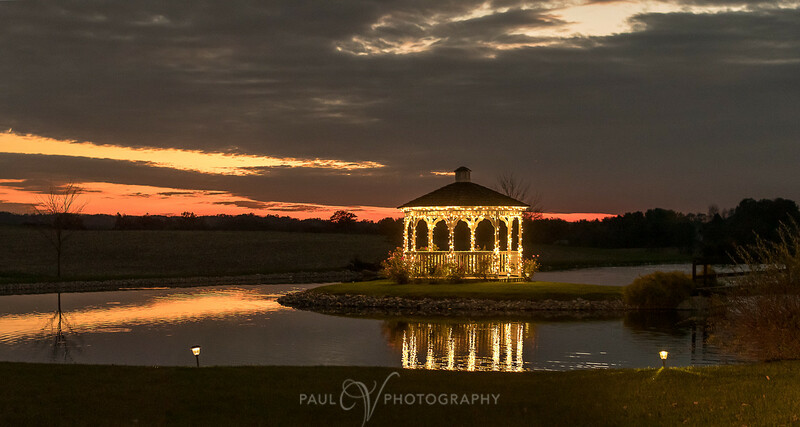 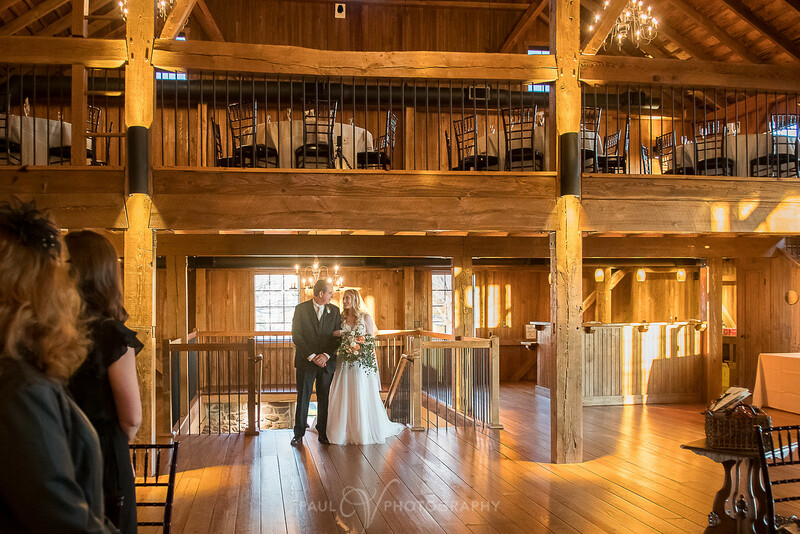 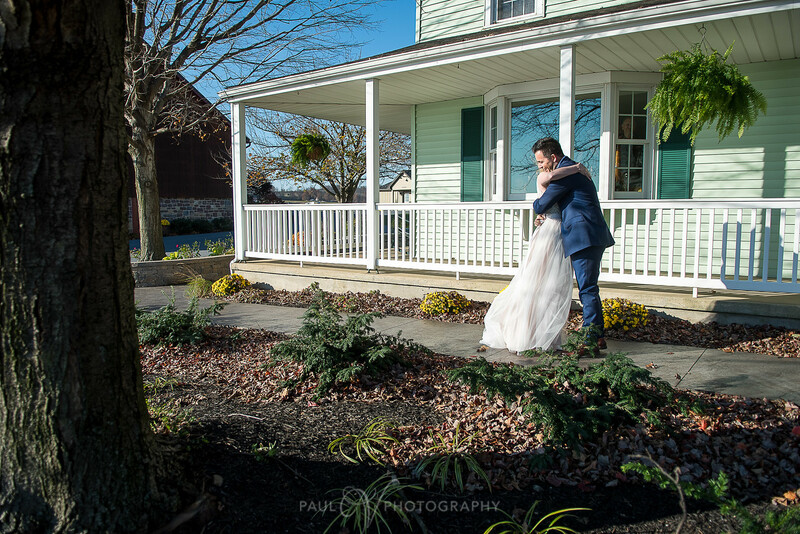 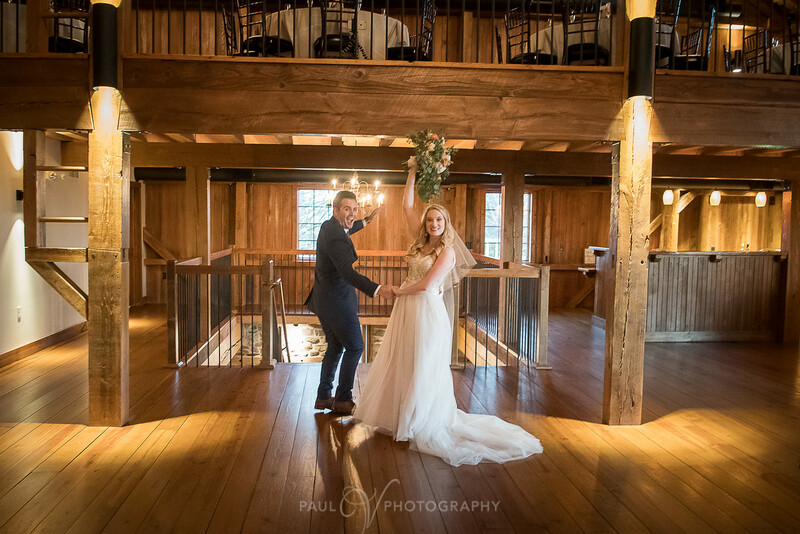 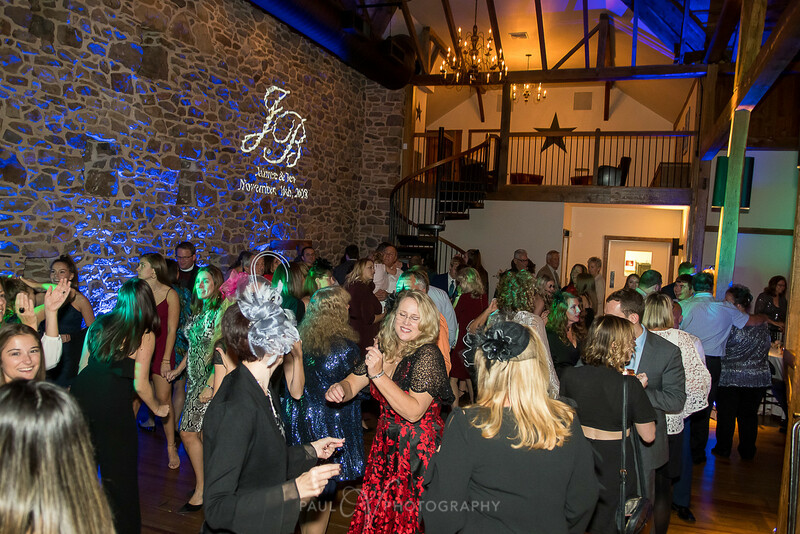 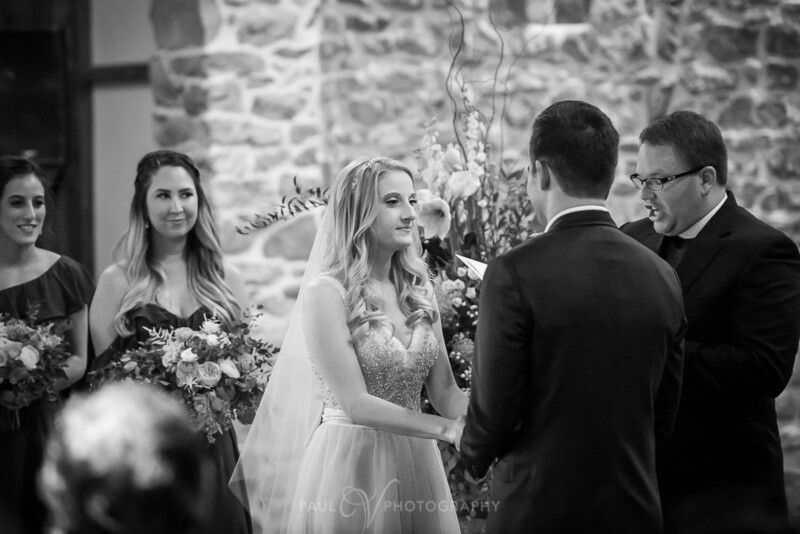 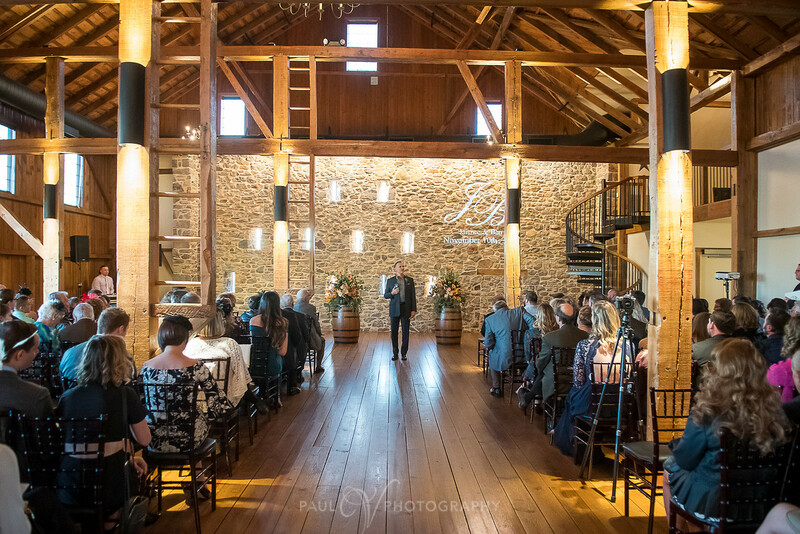 Persnickety was so honored to play a role in Jaimee and Ben’s big day at Harvest View Barn at Hershey Farms in Elizabethtown, Pennsylvania. 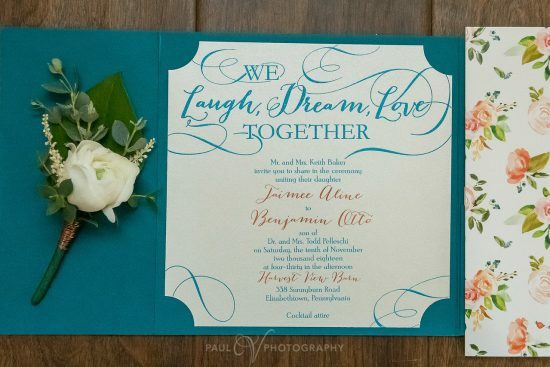 This was by far one of the coolest paper suites we ever worked on. 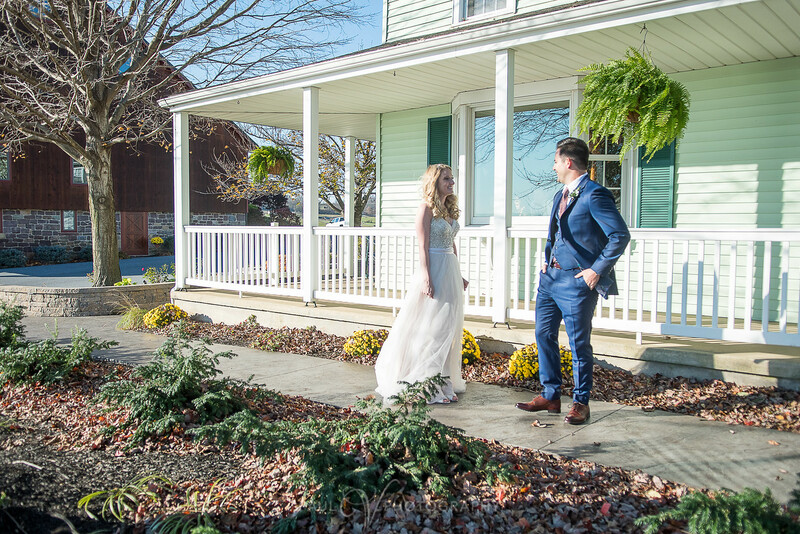 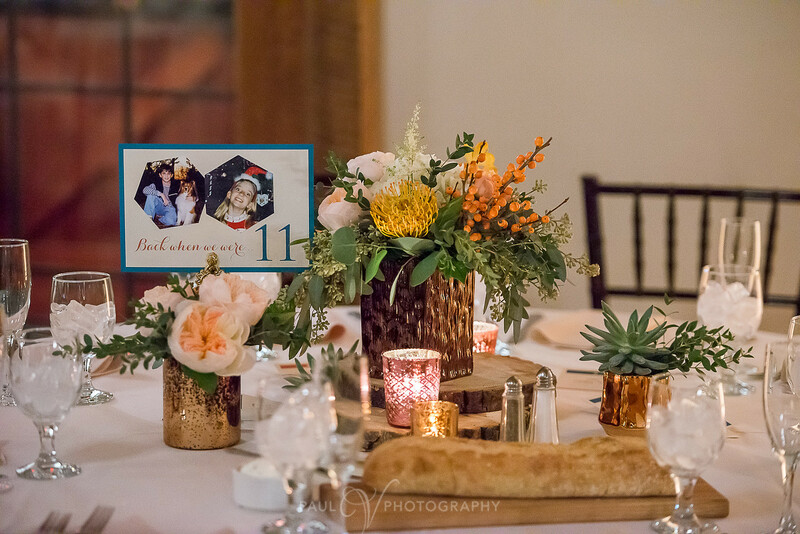 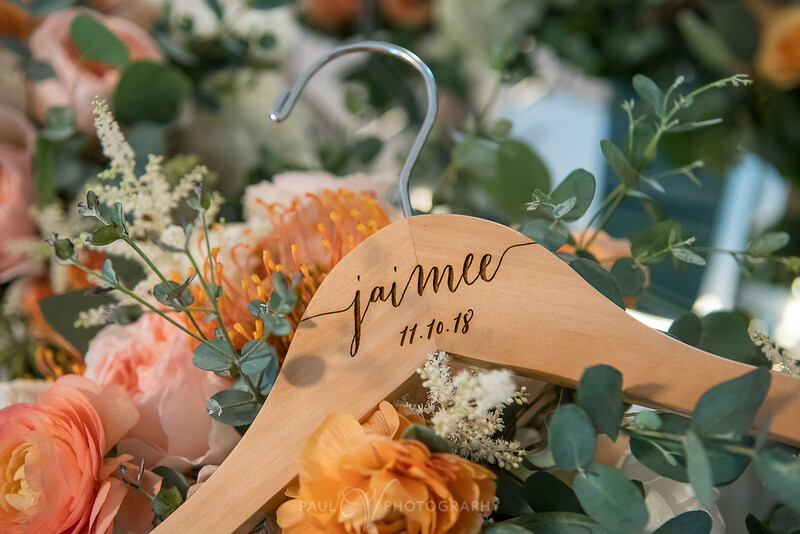 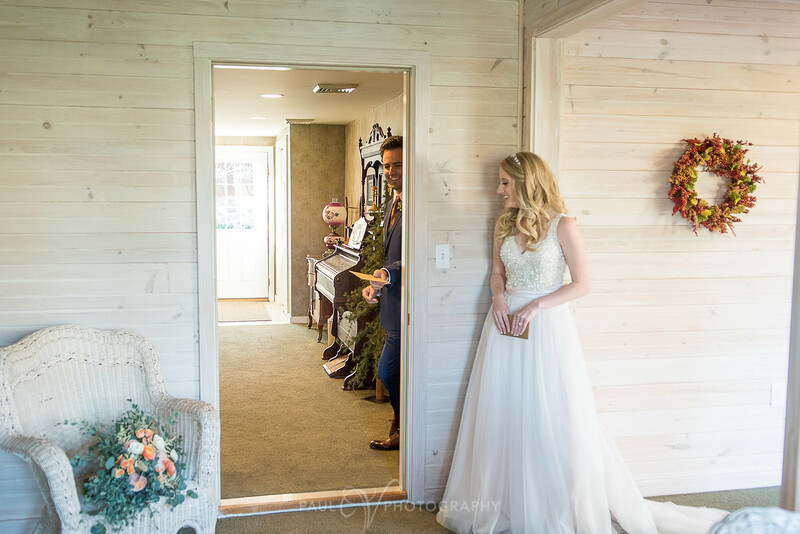 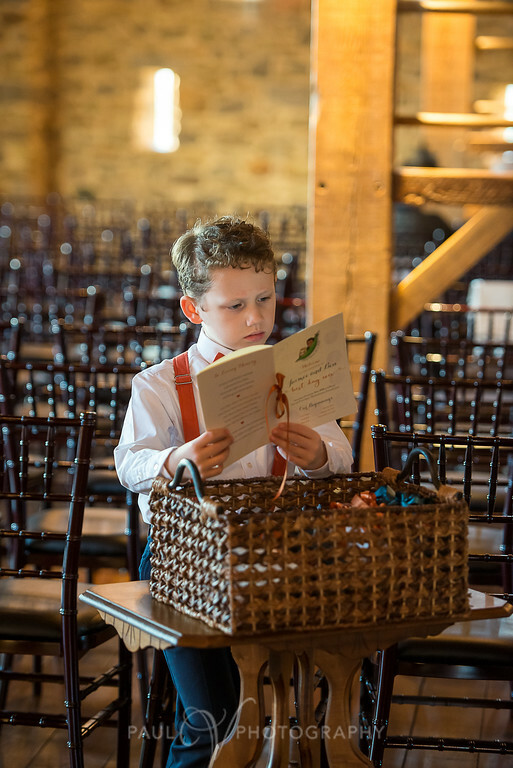 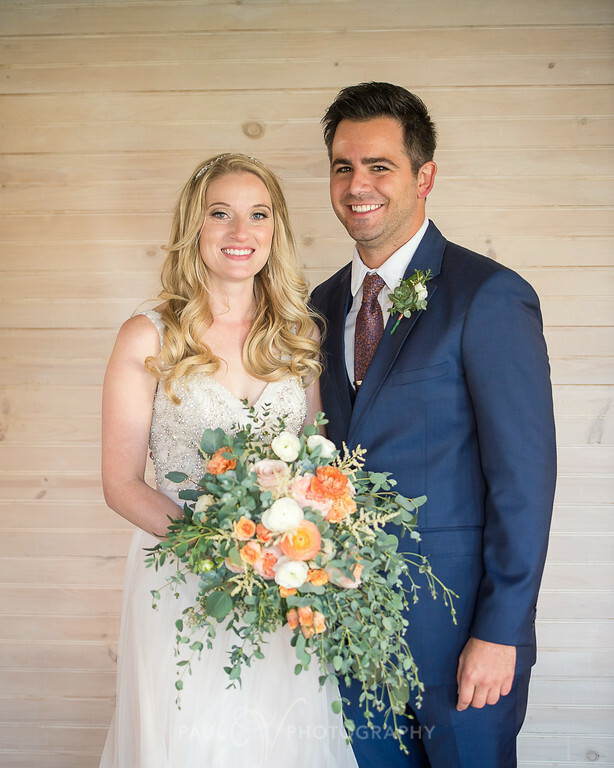 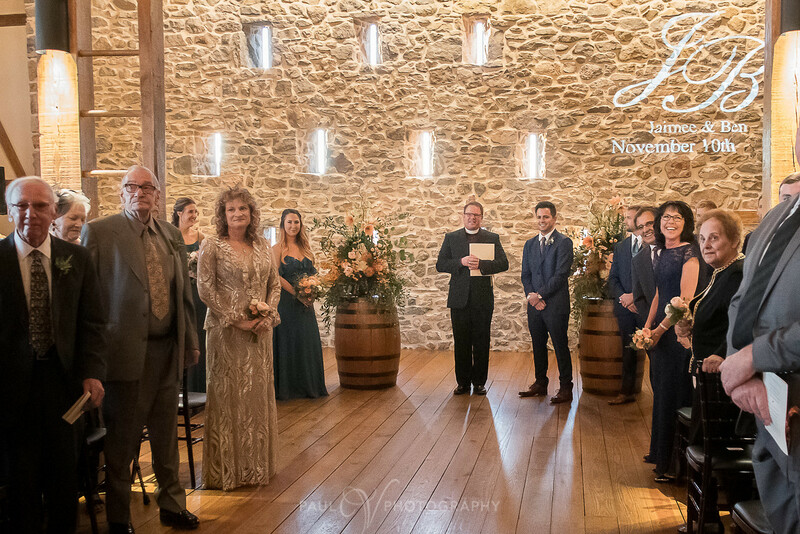 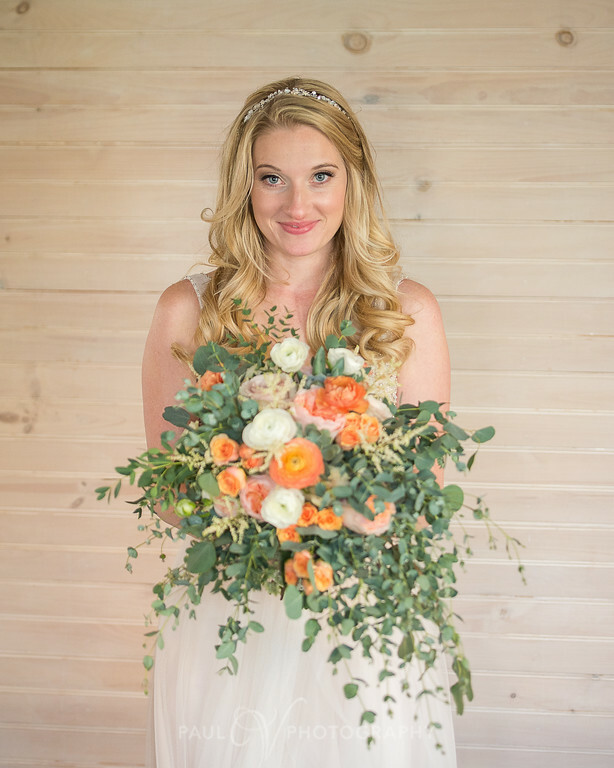 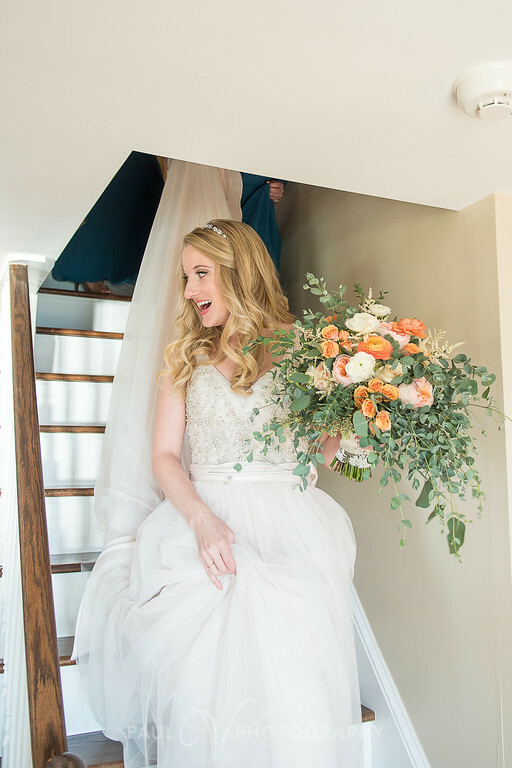 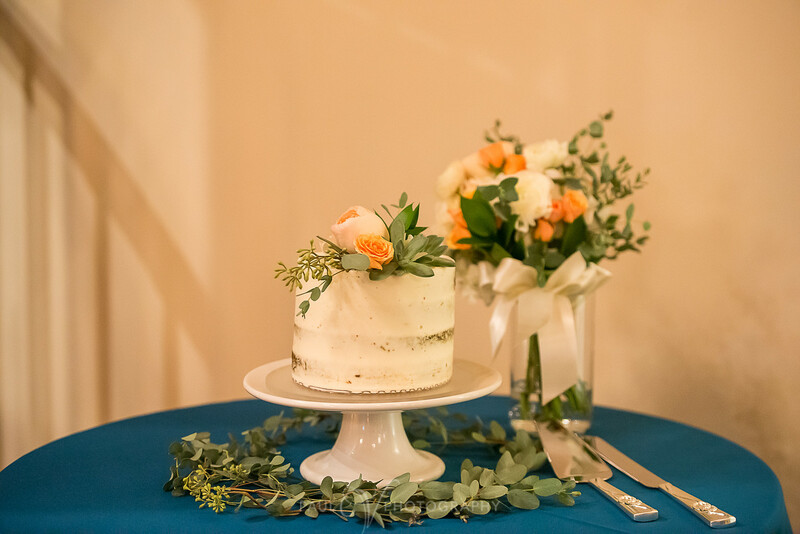 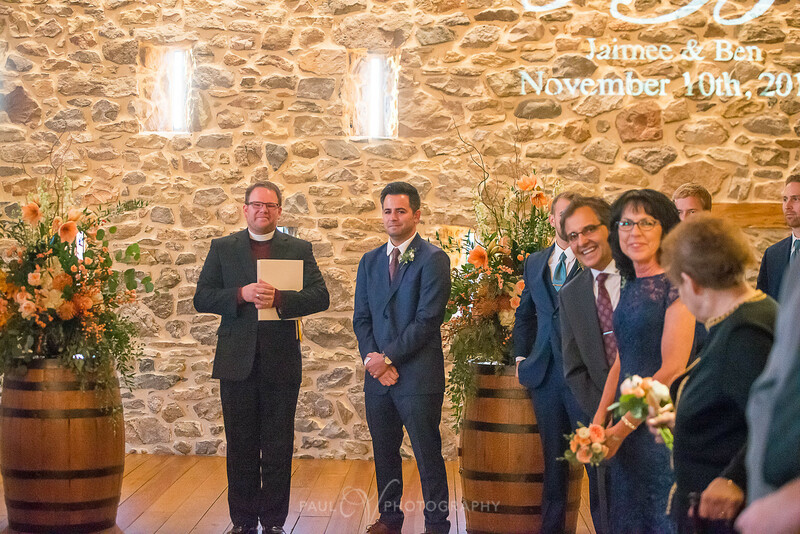 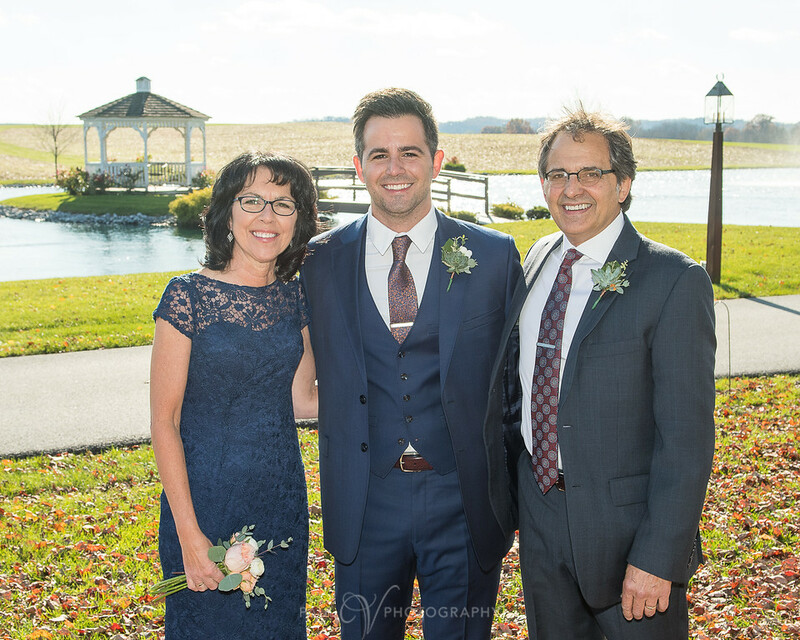 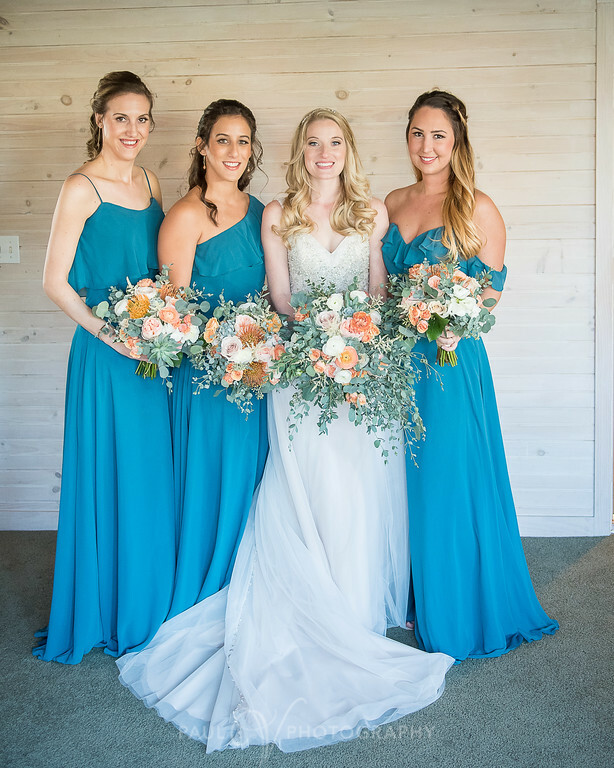 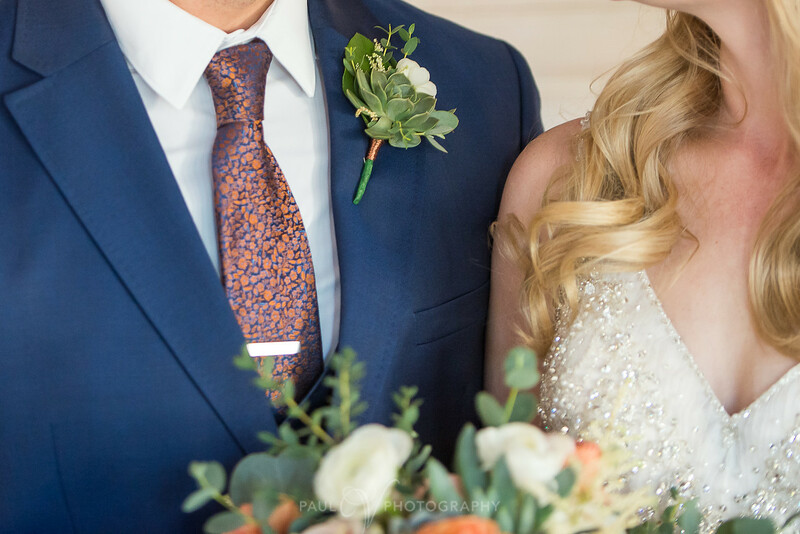 Jaimee and Ben had a clear vision of how they wanted all of their paper pieces to blend in with their beautiful November wedding, and Persnickety was ready to help! 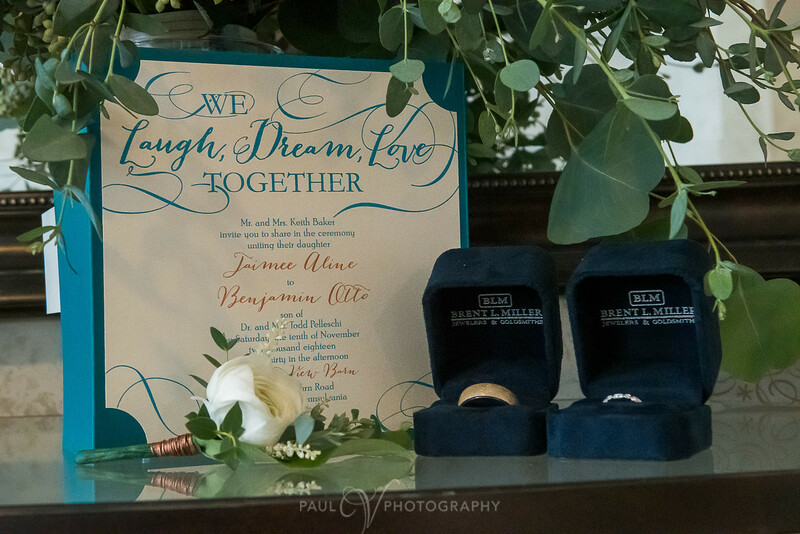 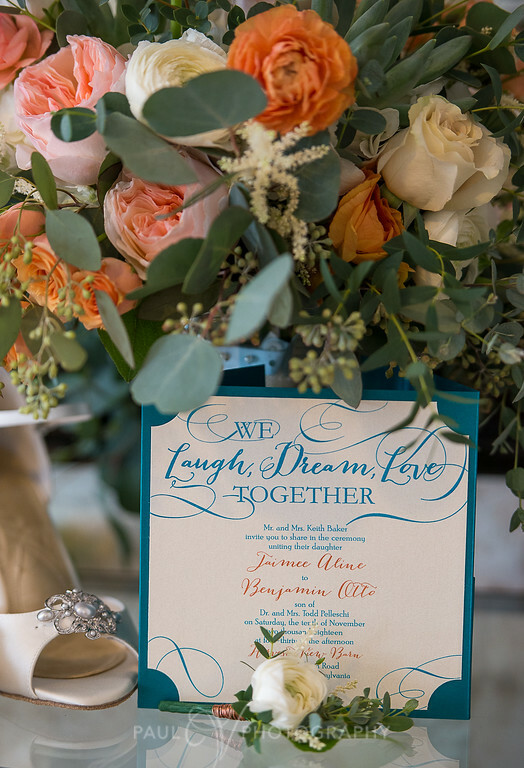 Their gorgeous pocket invitations included a fun ticket shape invitation in a marina square pocket and a beautiful color palette- teal, ivory, and ginger. 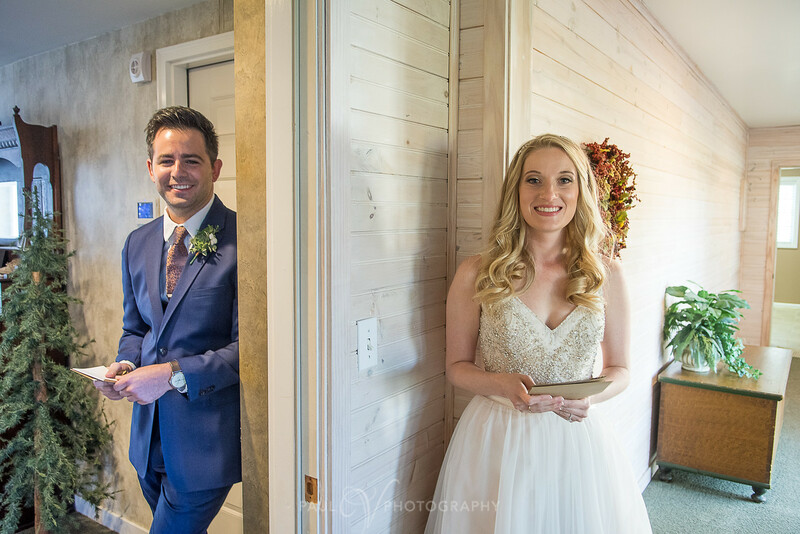 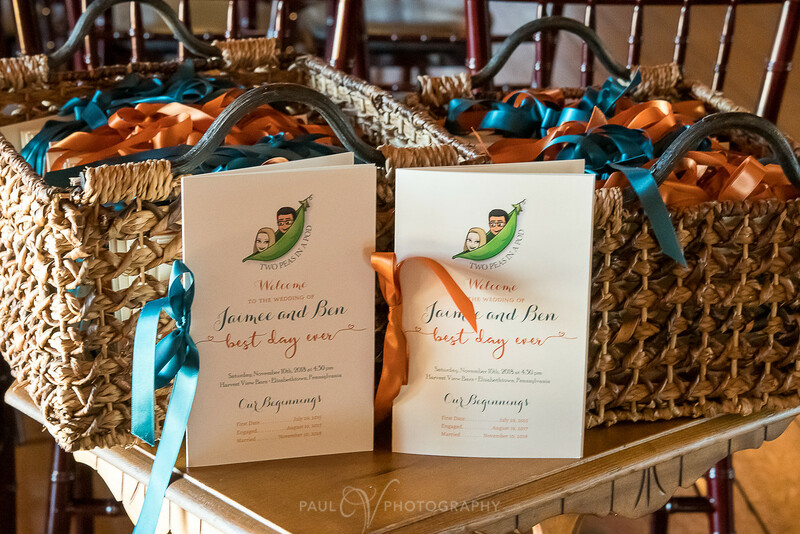 Persnickety was able to incorporate these colors into their rest of their custom suite, including the CUTEST booklet programs with Jaimee and Ben’s bitmojis! 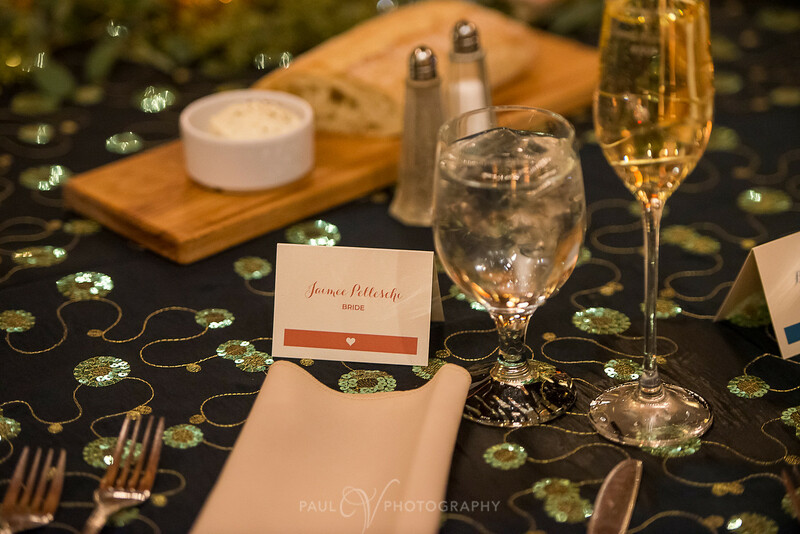 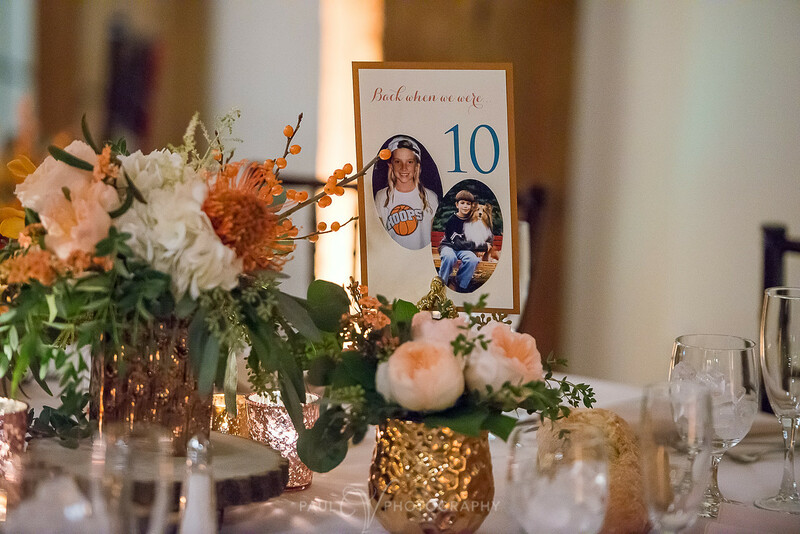 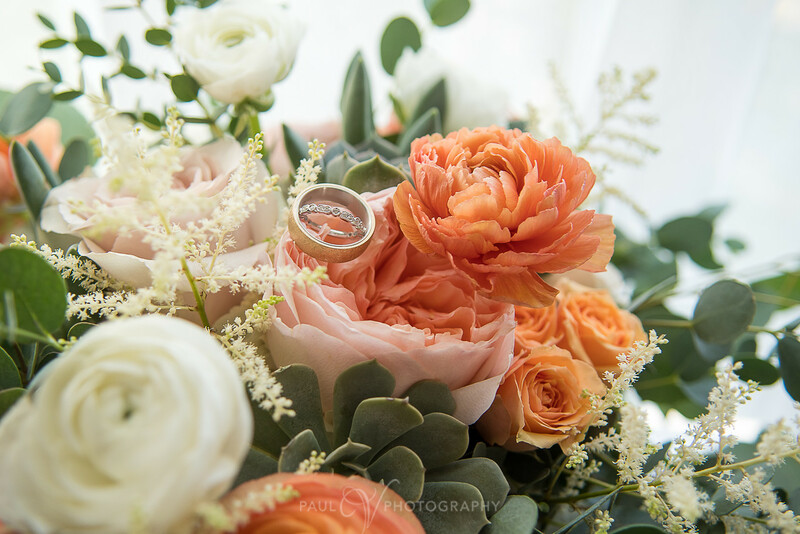 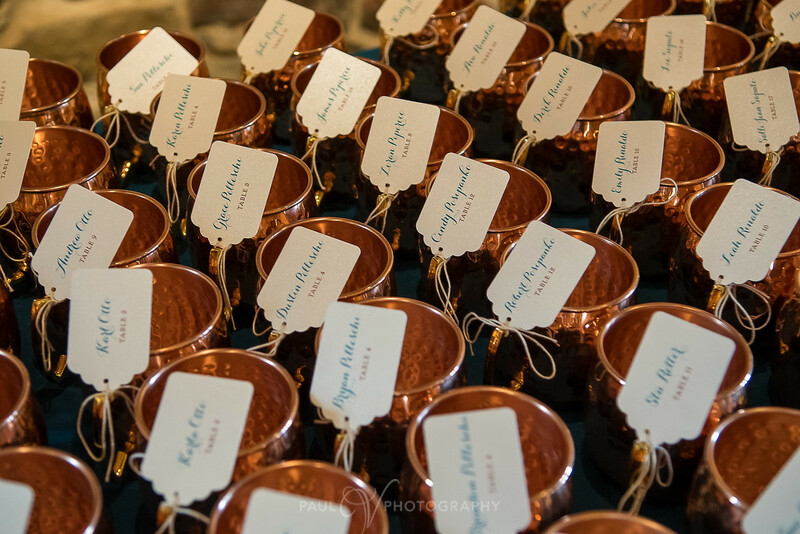 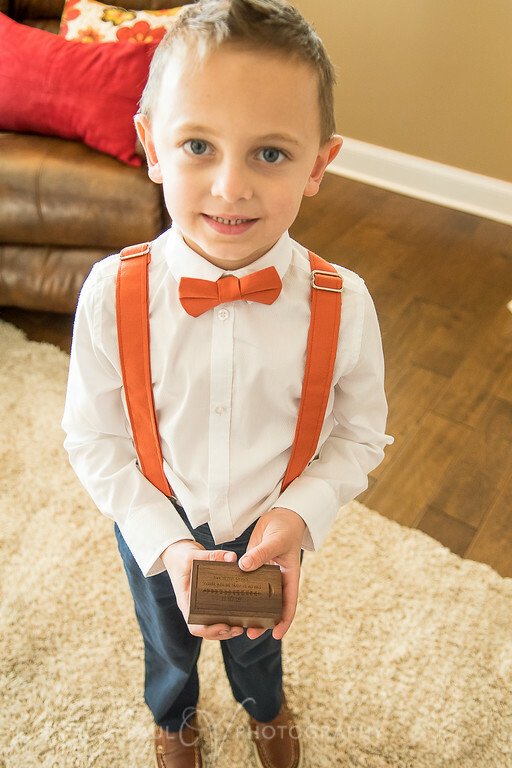 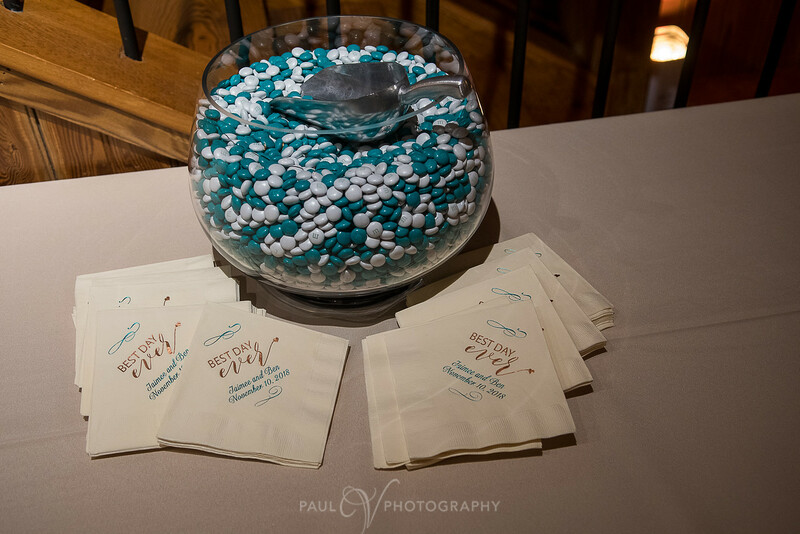 One of our favorite parts of Jaimee and Ben’s wedding day were their wedding favors. 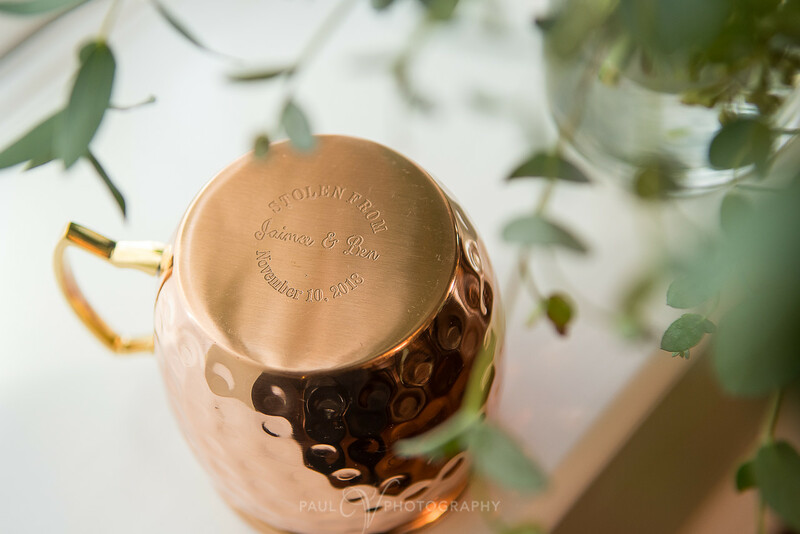 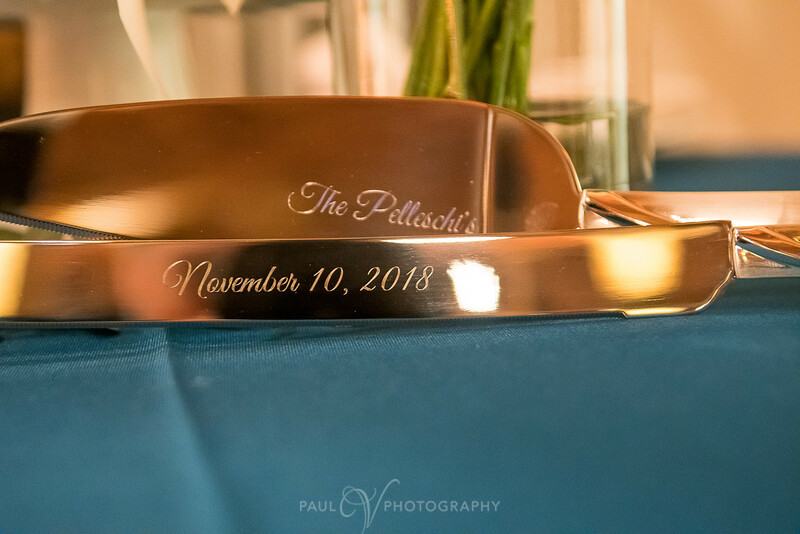 They gave each guest a copper mug engraved with “Stolen from Jaimee and Ben” underneath. 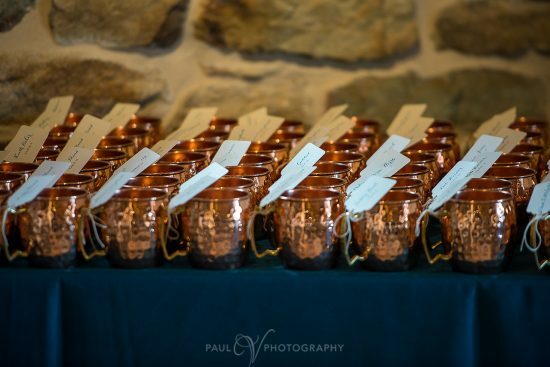 Copper mugs are great for Moscow mules and one of the most stolen items from bars and restaurants . 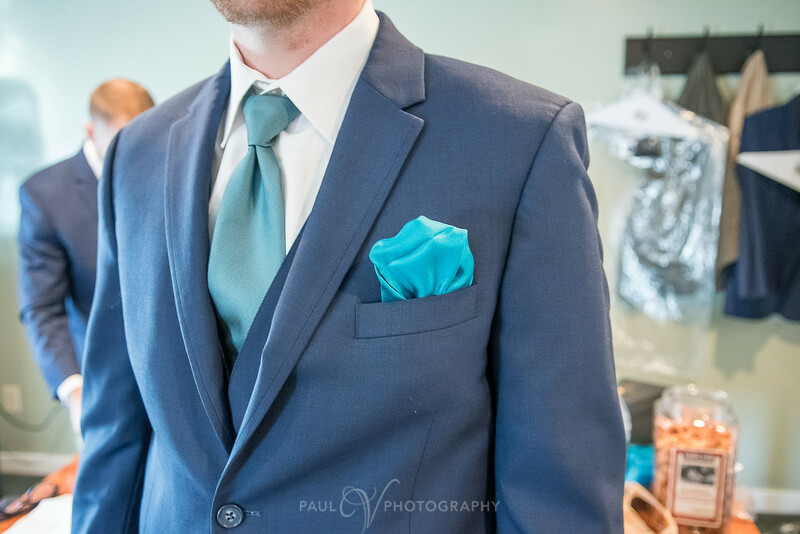 . . perfect for people to swipe from a wedding! 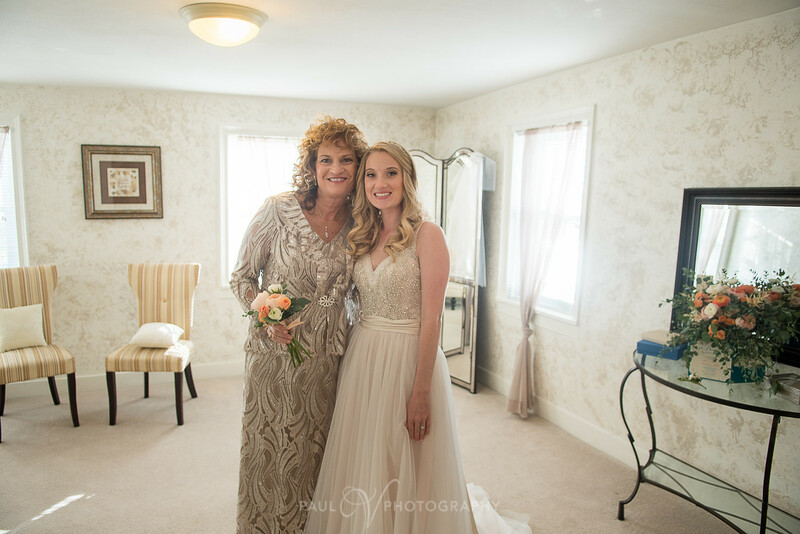 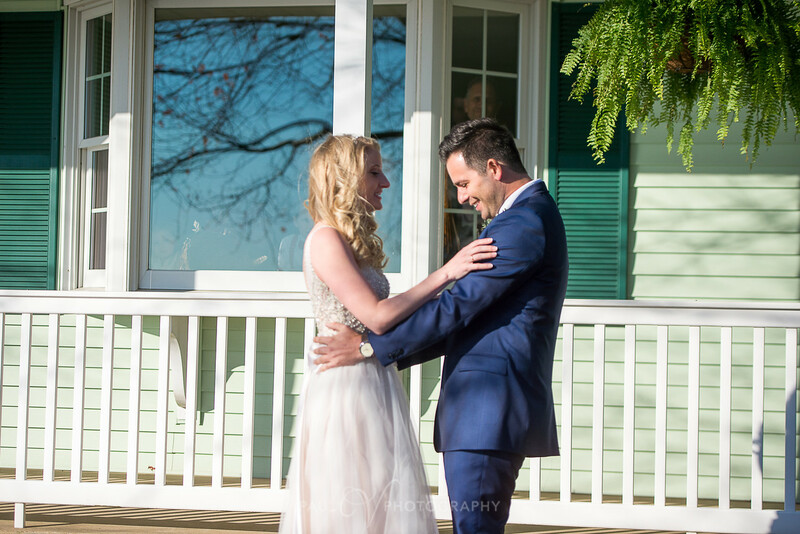 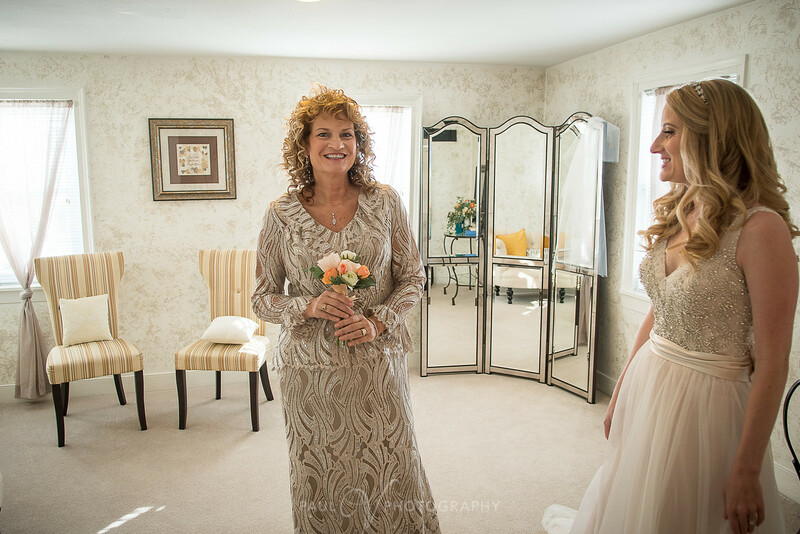 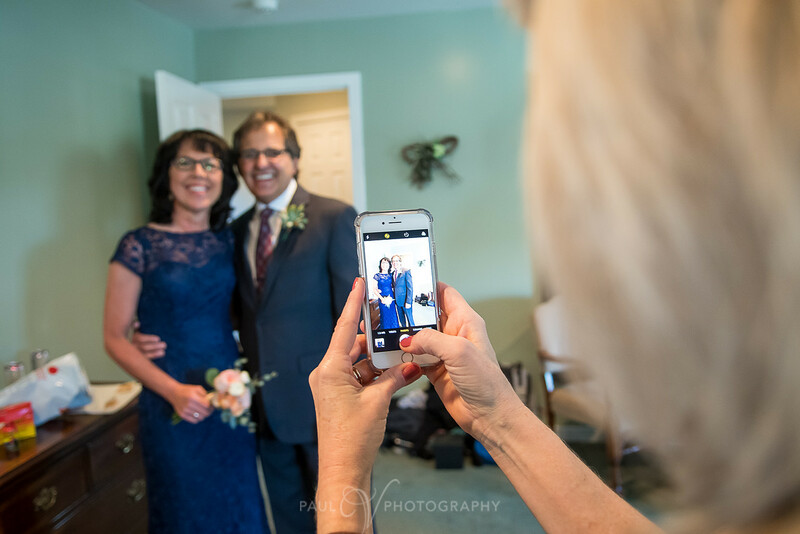 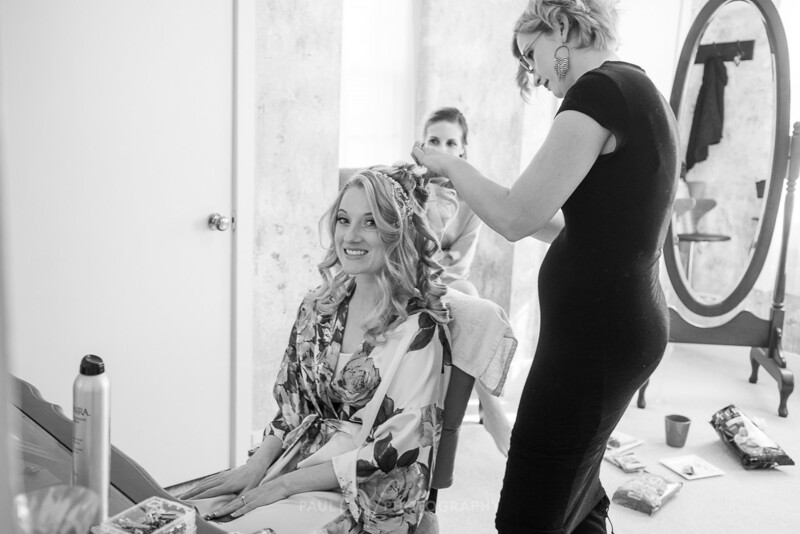 We were so lucky to have worked with this awesome couple and Jaimee’s awesome mom, Debbie. 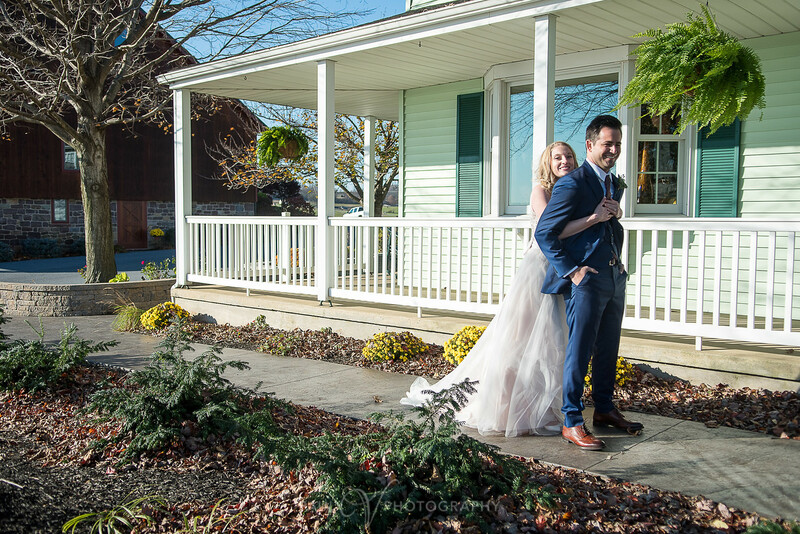 Cheers to the new Mr. and Mrs.! 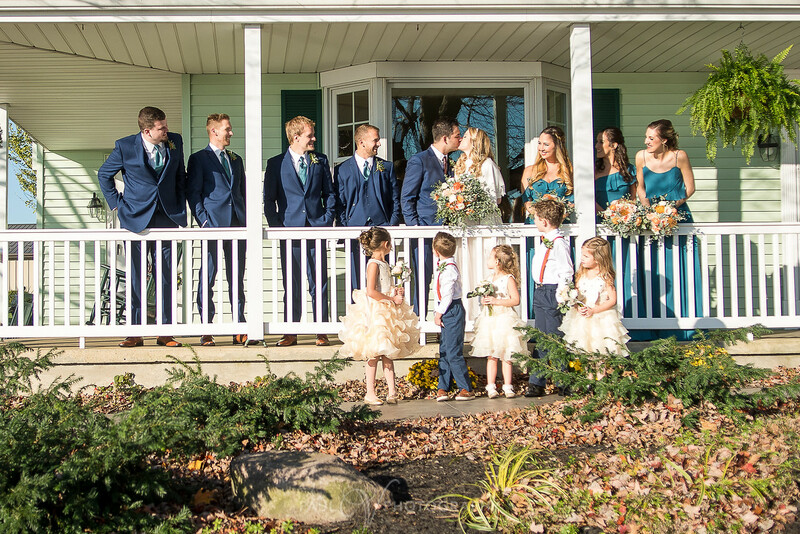 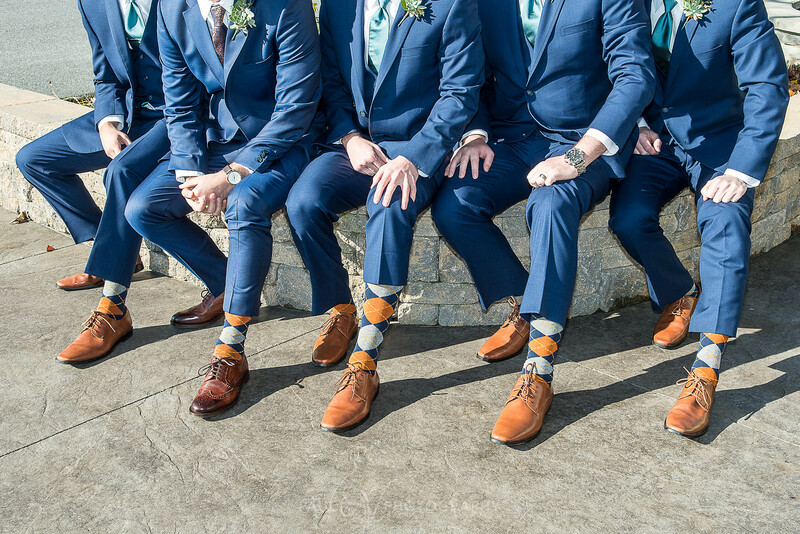 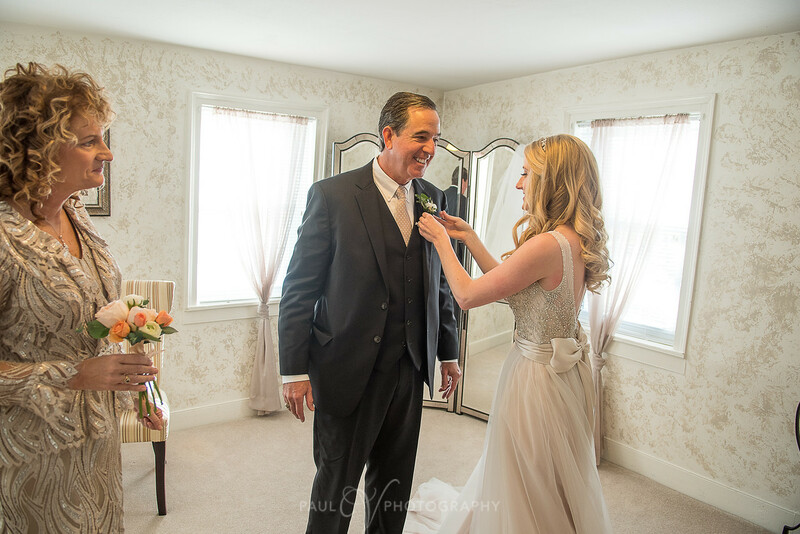 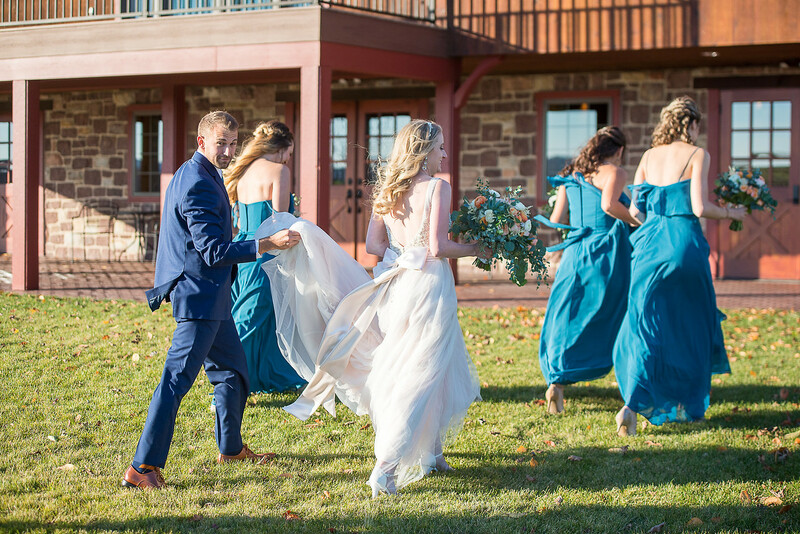 Please enjoy just a few of our favorite shots from their best day ever below. 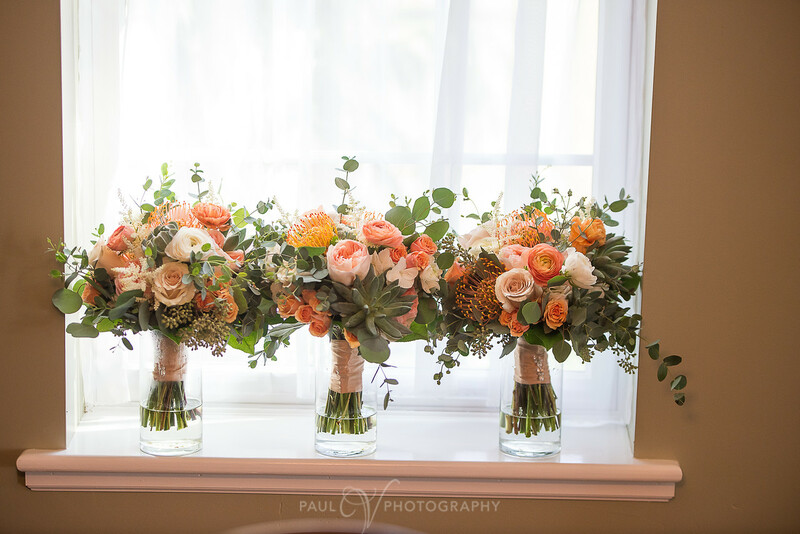 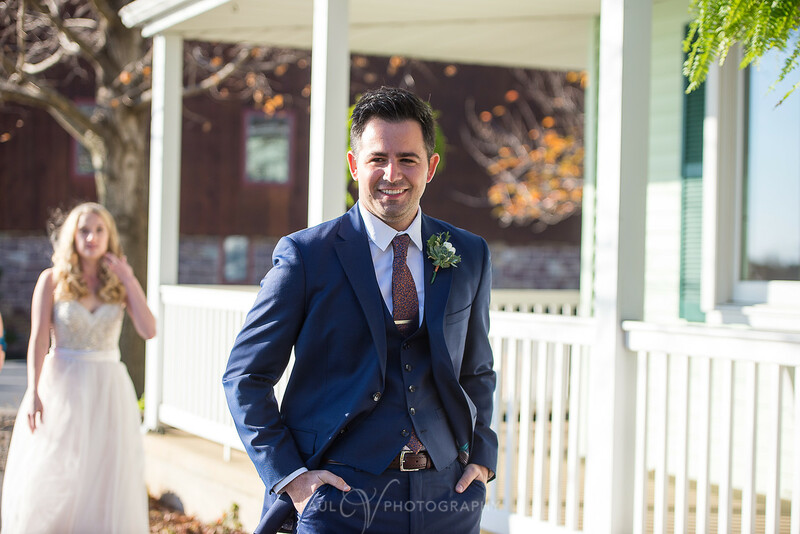 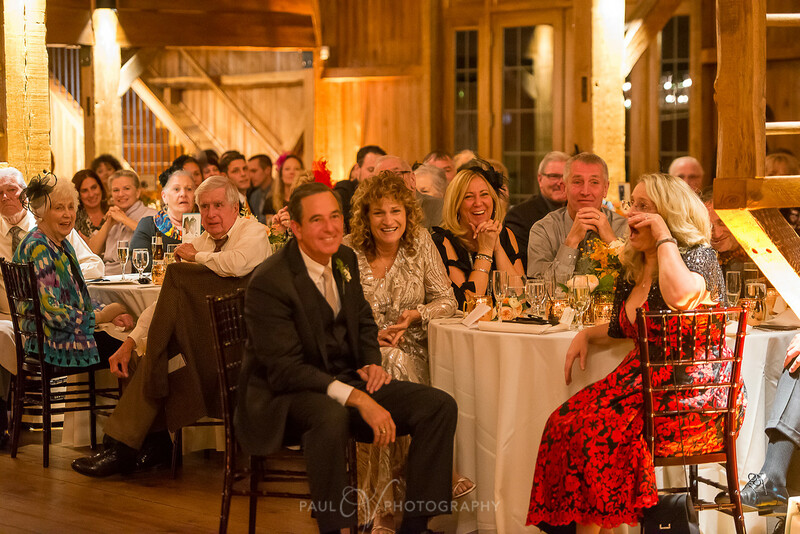 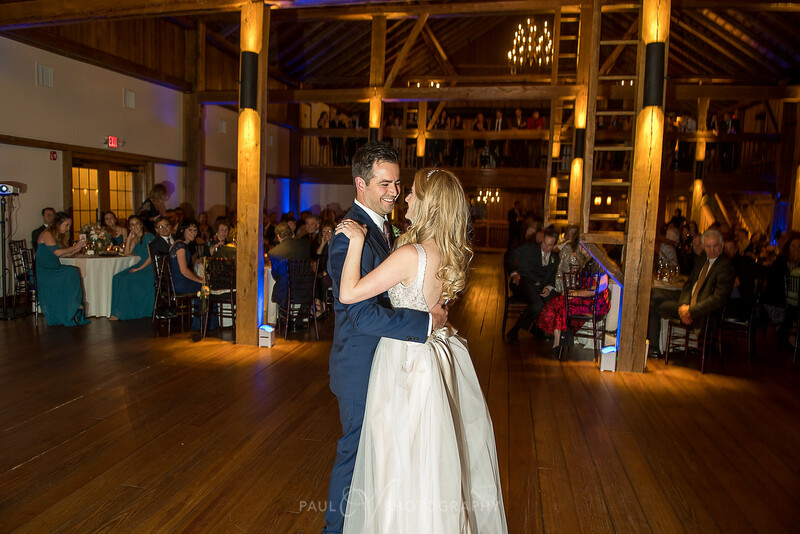 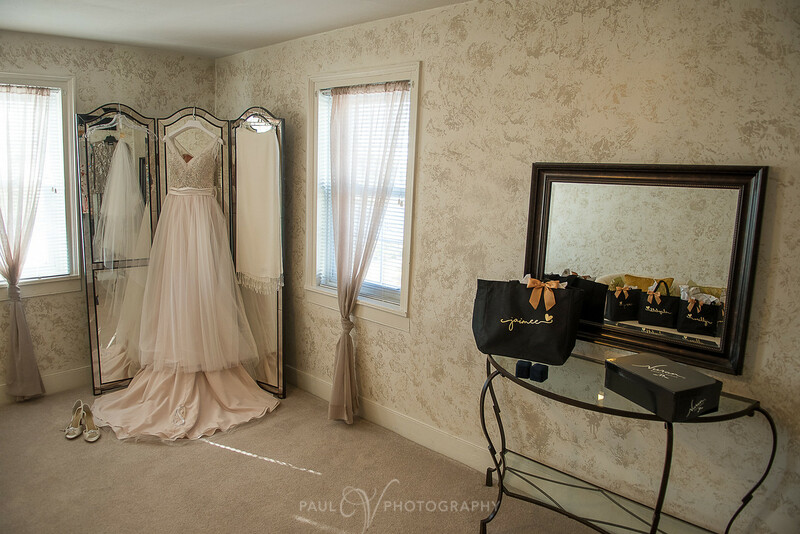 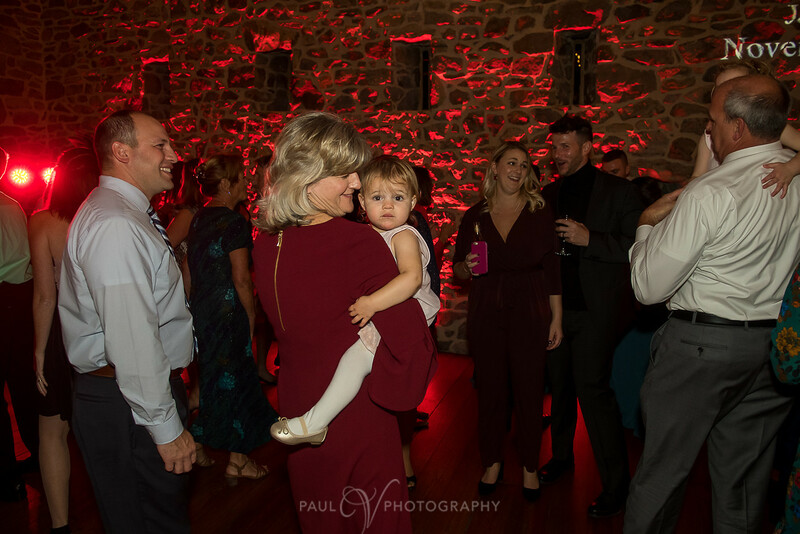 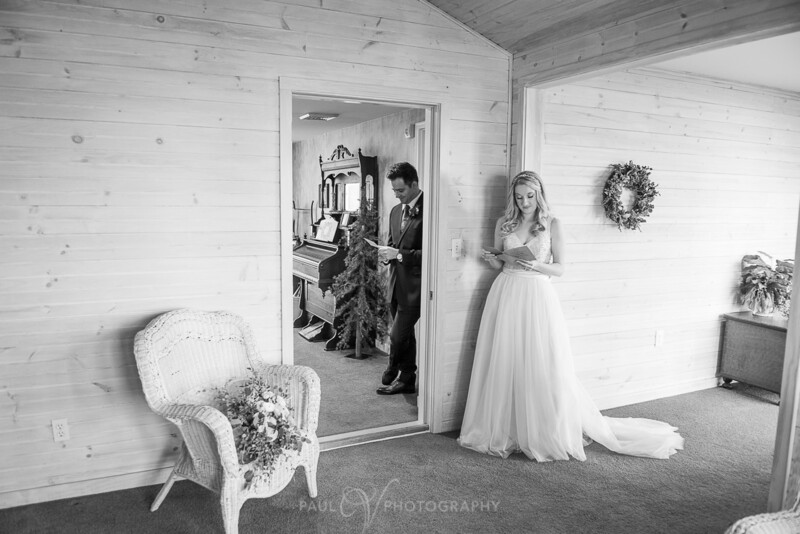 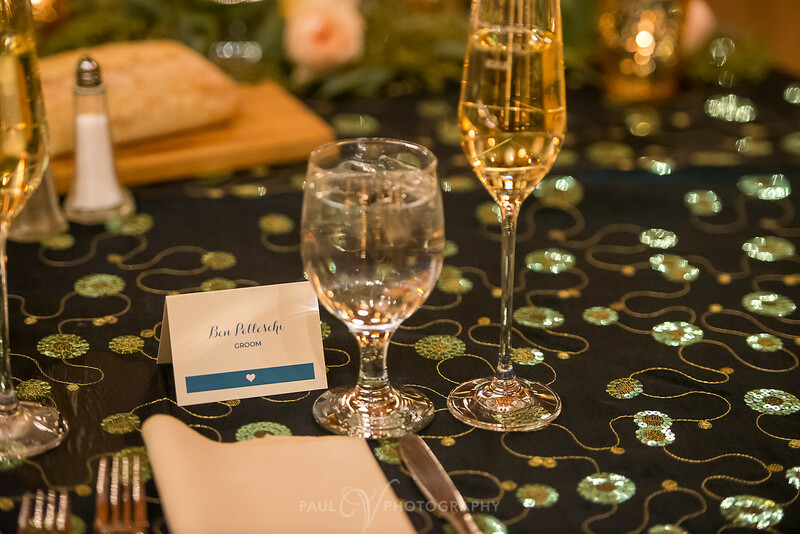 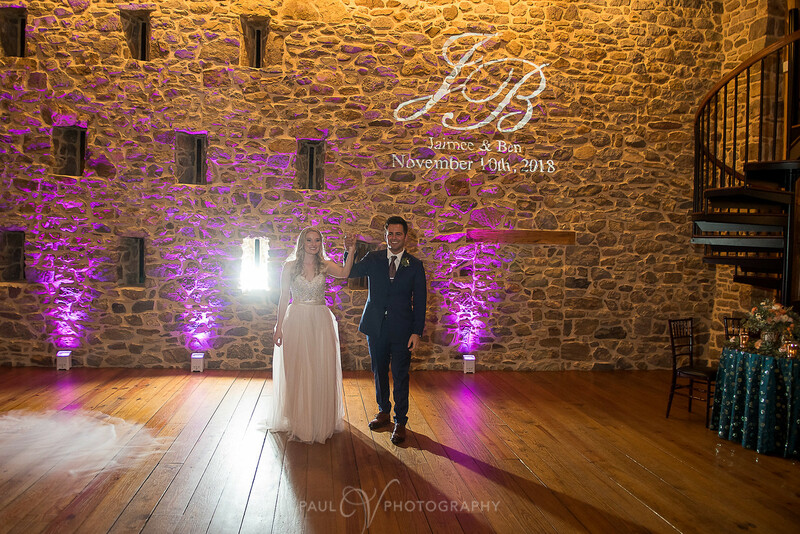 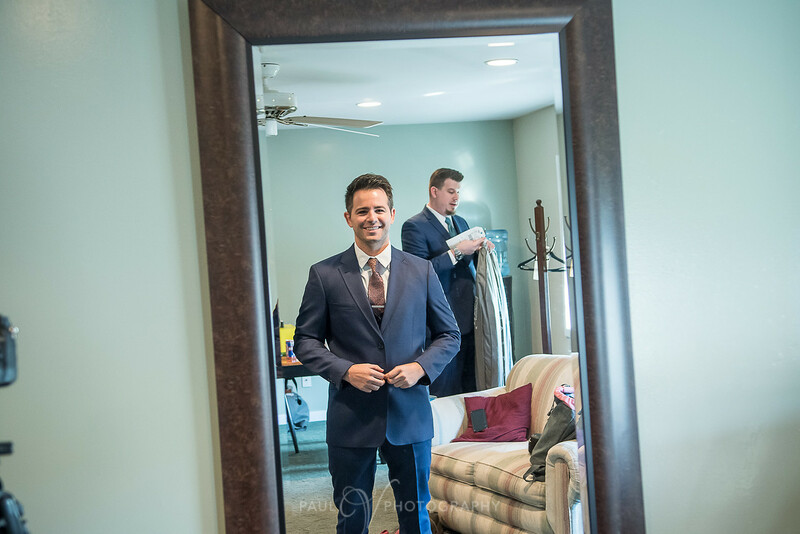 Thanks so much to the talented Paul V. Photography for the great shots!